We're celebrating San Diego Comic-Con International and Image Comics' bestsellers with a 50% off SALE! 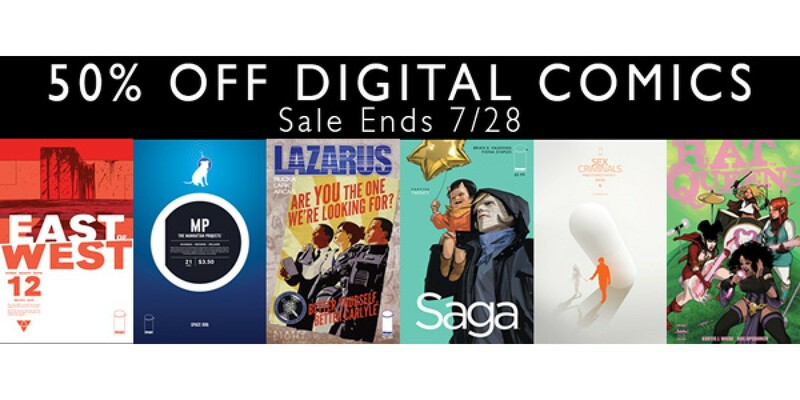 Get up to 50% off on digital editions of select series like SAGA, EAST OF WEST, RAT QUEENS and more from Imagecomics.com, ComiXology, Google Play, or Apple iBooks starting now! Offer valid until 11:59pm EST on July 28th, 2014.